Jacob deGrom put on about as good of a performance as a baseball team could expect, and his changeup was so devastating that some of the batters he set down probably went to sleep having nightmares about it. Unfortunately for attendees of Thursday’s home opener for the New York Mets, the 2018 National League Cy Young winner pitched last night in the Mets 6-4 victory in Miami. Fans today instead got a decent performance from Noah Syndergaard, but good pitching only helps so much when the bats don’t knock in any runs. Syndergaard went six innings and allowed two runs, but his team couldn’t rally to save him from the loss, losing to the Washington Nationals 0-4. 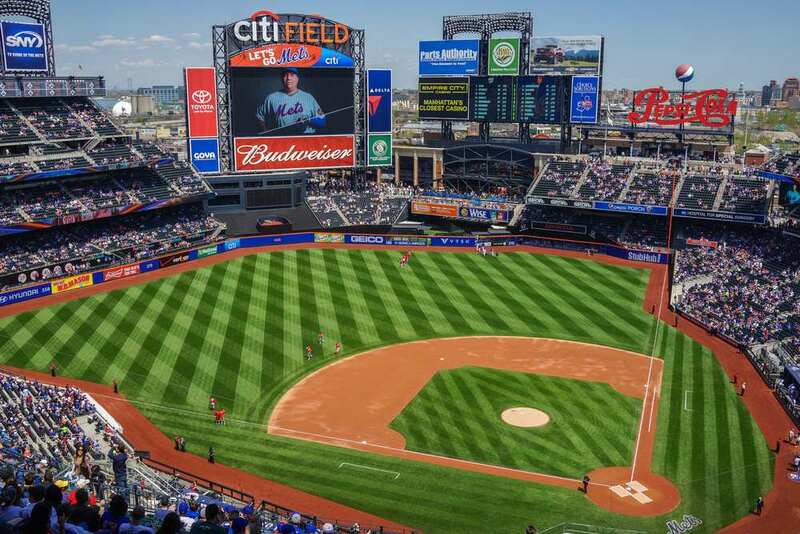 Professional athletes are after all human, and the flight back last night from a series with another NL East rival, the Marlins, may have been one cause for such sleepy bats during the first regular season game in Flushing, Queens at Citi Field in 2019. Fans will have to wait until at least tomorrow to cheer as Mets come across home plate to score a run, and maybe they will even see the big apple beyond the outfield wall triumphantly rise after a Mets player slams a homerun. The sellout crowd was treated to a sunny and warm afternoon game that featured a pitching duel between two of the best pitchers in the whole league, “Thor” Syndergaard and Stephen Strasburg of the Nationals. The Mets beat Strasburg in his start against the team last week, but Strasburg was locked in yesterday, setting down nine Mets batters over 6 and two-thirds innings of work. The Mets would strike out another six times before the end of the game. Robinson Cano, one of the biggest offseason acquisitions in the league, came back to play in New York for a New York team for the first time since leaving the New York Yankees in 2013 after his contract expired. Cano’s 0-3 performance yesterday left Mets fans desiring what Yankees fans had seen for years over in the Bronx. The good news for the Mets is that the team has been playing well and had won three games in a row prior to yesterday’s loss. The Mets only trailed by two runs late in the game but could barely put together any real threats. Once reliever Seth Lugo gave up two runs in the top of the ninth inning, the writing was on the wall that the dead bats of the Mets would not be able to come alive and stage a now-bigger comeback effort. Up until the ninth inning, Syndergaard and the Mets bullpen only gave up a single run, which came from a Victor Robles homerun off of Syndergaard. The other prior run came in the second inning from one of the most exciting plays in baseball when Wilmer Difo laid down a bunt and scored Juan Soto on a safety squeeze. A suicide squeeze is arguably the most exciting play in baseball, which is when a runner on third base starts stealing home, and then the batter lays down a bunt. A successful bunt that doesn’t land right in front of the catcher makes a suicide squeeze nearly impossible to stop, but if the batter cannot make contact, the baserunner will almost surely get caught stealing home. A bunted ball up in the air could also lead to a double play. A safety squeeze is when the baserunner doesn’t steal but is ready to come flying home the moment that bunt happens. Walks are one of the biggest enemies of pitchers, and sure enough, Syndergaard’s two walks that inning came back to hurt him. The Mets continue the series against the Nationals this weekend after a day off today with another 1:10 p.m. game at Citi Field tomorrow.